Mark expenses as reimbursable, and how to find whether an expense is reimbursable. Circula distinguishes between the expenses that are reimbursable and those that are not. 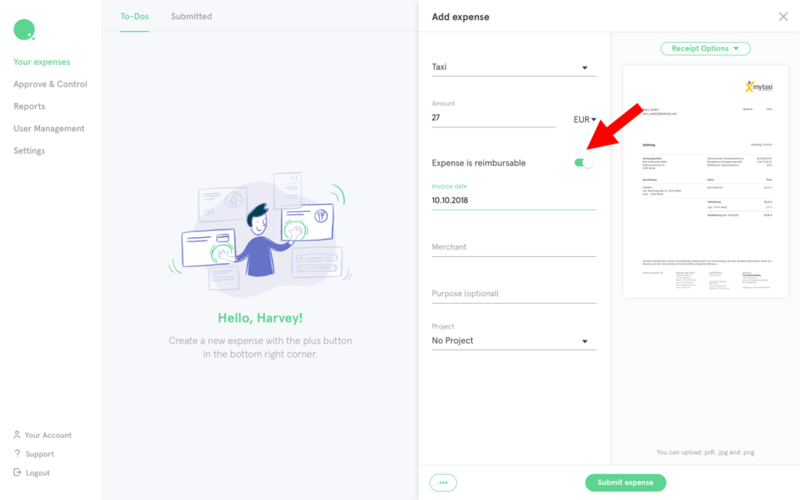 When users enter the expense details in their smartphone, they can indicate whether or not a given expense is reimbursable. 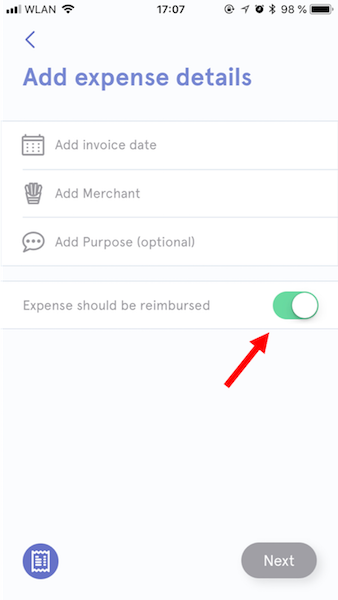 Select "Expense should be reimbursed" if you paid the expense with your own means of payment. This option is pre-set. When controlling an expense, look whether the field 'Reimbursable expense' is active or not. This entry may be edited by accountants only.